I wrote earlier on some of the enterprise implications of Apple’s 2018 iPhone and Apple Watch range. Here are a few more insights on the new range as Apple closes in on selling its two billionth iOS device. Apple now offers three iPhones: iPhone Xs, iPhone Xs Max and iPhone XR. 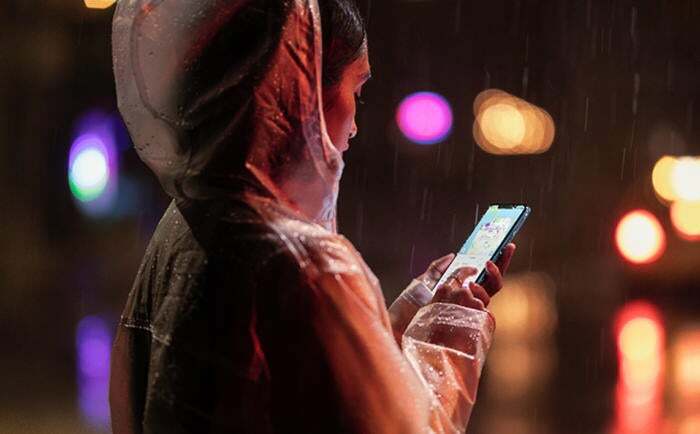 Analyst Patrick Moorhead believes the iPhone XR will be the biggest-selling smartphone over the next year. In part, this is because it offers the same powerful chip, can do portrait shots and other imaging tasks, and comes in a range of cool colors at a more affordable price. The iPhone X, iPhone SE and iPhone 6s are no longer available from Apple, though iPhones 7 and 8 remain. The latter older iPhones cost from $200 and $100 less than their original launch price, respectively. Apple also skipped mention that it intends to keep the same low-powered iPhone charger in the box. Apple has also updated information on its developer’s portal. The short version? If your app is compatible with an iPhone X, it should work fine on these new devices. If it isn’t? You may have a problem (depending on the app). For enterprise users with their own bespoke apps the inference is pretty clear — time to build for X series devices — particularly if you are exploring use of AR or machine learning. Apple is forging far ahead of the entire industry with its latest devices. The processor inside them is 7 nanometer — most every single one of its competitors are around two years behind Apple in this. Apple is able to deliver performance and energy consumption advantages no one else can match as a result. This translates into ease of use and responsiveness that no other devices can match, and it should go a long, long way to keeping those iPhone customer satisfaction figures moving slowly toward 100 percent (currently 98 percent). Apple gets, has got, and will continue to attract lots of criticism for what many see as its followers' position when it comes to artificial intelligence. It’s not entirely justified. You see, what Apple seems to have been deeply focused on is figuring out just where AI can make a difference to people’s lives — and nowhere is this more in evident than in the latest iPhones, with which people can edit depth-of-field information in their images after the photo is taken with iPhoto. That’s not the only AI implication in these new machines — Siri Shortcuts and a range of other enhancements Apple alluded to in its keynote all matter, too. The Neural Engine has a new eight-core design, so it can handle 5 trillion operations per second compared to 600 billion in A11 Bionic, the company said. That’s impressive, but another thing that bears repeating is that Core ML running on the A12 Bionic Neural Engine is up to nine times faster than on A11 Bionic, with as little as one-tenth the energy usage. In other words, these new iPhones are built to run AI solutions in the fairly narrow (imaging and machine intelligence) field Apple’s focused on. And they can do so using far less power than before, which makes it possible for developers to identify and deliver new breed apps. You can read the press release and the many reports (including mine) exploring some of the improvements in the new iPhones imaging capabilities. 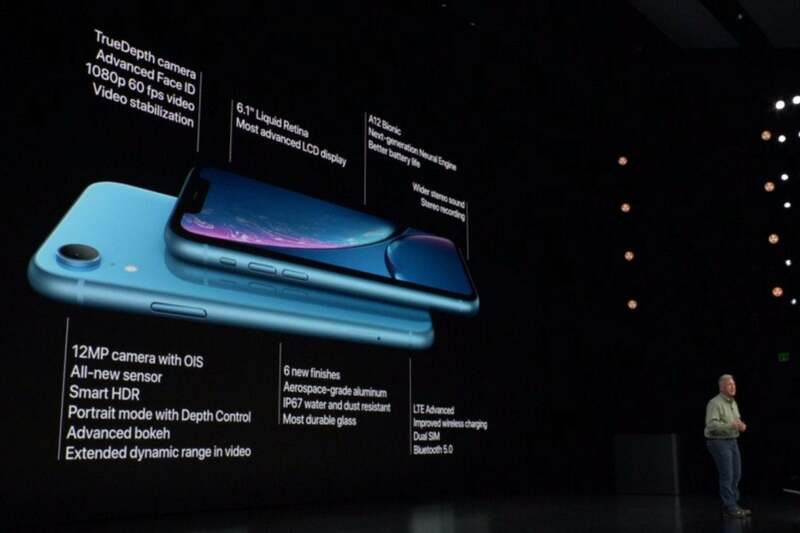 The 12-megapixel dual cameras feature dual optical image stabilization with 2x optical zoom and a sensor that is twice as fast as iPhone X.
Apple made a huge deal explaining how this makes a difference when taking images, but I can’t help but feel that as the detail/data captured by images improves, this will feed directly into new breed machine vision intelligence solutions. iOS 12 already offers advice as to how to make better images from your images, and I see no reason that this won’t be the start of a much longer journey. If you are a developer with ideas as to how to harness AI and imaging, Apple now looks like the best platform to explore. Some observations regarding eSIM. It’s good that carriers are prepared to go with Apple on this, and it’s going to make a big difference to travelers (particularly Brexit-supporting Brits who find that calls suddenly cost a whole lot more in Europe). One important caveat is that the built-in eSIM will be controlled by Apple and its partners, and that means you’ll be locked into purchasing one of the supported eSIM plans, which is a little less flexible than picking up a new SIM at the airport, though that may be a very small price to pay in contrast to the ease of use of Apple’s eSIM account set-up experience. There is one more thing on this: The eSIM won’t be available at launch and will be activated later on. Apple has introduced a new AppleCare Theft and Loss plan for iPhone XS and XS Max. This costs $299 and means you (or your employees) are covered for two incidents of accidental damage, theft, or loss. This may, or may not, be competitive with your existing mobile equipment insurance. A range of Apple Watch enhancements make it hugely useful for everyone, Siri Shortcuts means you’ll be able to use it to — you know — get stuff done. However, the ECG and Fall detection features mean this device is going to need to be on the shopping list for anyone who cares about their own, or another’s, health. It should be a shoe-in for older relatives. Effectively, the product has made the transition from being a gadget many people didn’t understand the use of to a solution that may save those same people’s lives. Gartner Senior Principal Analyst Tuong Nguyen puts it like this: “The FDA approval (and American Heart Association support) is a hugestep for Apple Watch (and wearables/smart watches). I’d also like to note that at time of writing, Apple Watch is trending higher than the new iPhones models on Twitter. Is it too early to call this release the equivalent of iPhone 4 in terms of transformation from luxury device to necessity? We’ll know by this time next year. macOS Mojave available September 24. Most of the smart money now thinks we’ll see another Apple event for productivity solutions (Macs, iPads, and no AirPower) at the end of 2018.